The elongated hem of this plus size tank from I.n.c. International Concepts adds extra coverage, while the ruched sides lend a flattering finishing touch. The holidays call for additional shimmer. I.n.c. International Concepts' metallic V-neck sweater makes the perfect +1 for all your upcoming parties. Cutouts at the neckline lend a chic touch to this plus size T-shirt from I.n.c. International Concepts, softly shaped with a hip-length hemline for added coverage. Illusion sleeves add sheer coverage to this streamlined plus size top from I.n.c. International Concepts, finished with an embellished bodice for gleaming contrast. 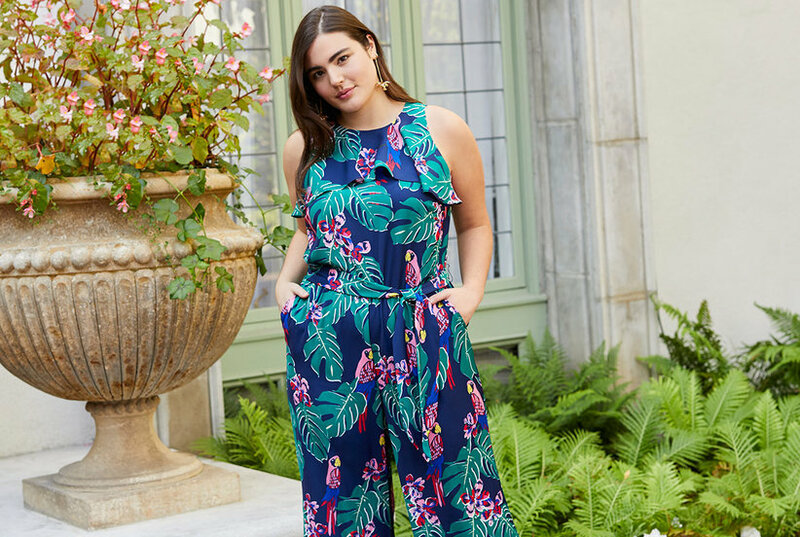 A stunning plus size jumpsuit from I.n.c. International Concepts is styled with eye-catching stripes and a faux belt at the front embellished with metal grommets. Get your hands on this plus size wrap top from I.n.c. International Concepts, styled to flatter with long sleeves, a blossoming print and a tie at the waist. Energize each look with the sunshine-bright floral print on this flattering wrap top from I.n.c. International Concepts. I.n.c. International Concepts' smooth-fit leggings create a trend-forward look with silver-tone studs curving down the outer leg. Clean lines makes for effortless styling on this sophisticated work-to-weekend top from I.n.c. International Concepts. Trend-forward lace races up the length of these I.n.c. International Concepts stretch leggings, the perfect combination of control, fit and style. Sophisticated enough for work, yet fabulous enough for a night out. I.n.c. International Concepts' sleek sheath has a tapered fit to flatter your curves and a glam chain detail that needs to be seen. Made from soft cotton, I.n.c. International Concepts' adds signature glamour to this versatile tee with the addition of a rhinestone-accented pocket. Girl, you know you've got it. Flaunt it in I.n.c. International Concepts' Sparkle top. I.n.c. International Concepts' plus size trench coat is reinvented with a draped open front and waist-defining self-tie belt. A stylish twist on the ordinary, I.n.c. International Concepts' plus size top features a softly twisted front and long hemline for flattering coverage. I.n.c. International Concepts takes the surplice top to a whole new level with soft pleating at the shoulders for the perfect drape. Ombre shades finish the statement-making look. 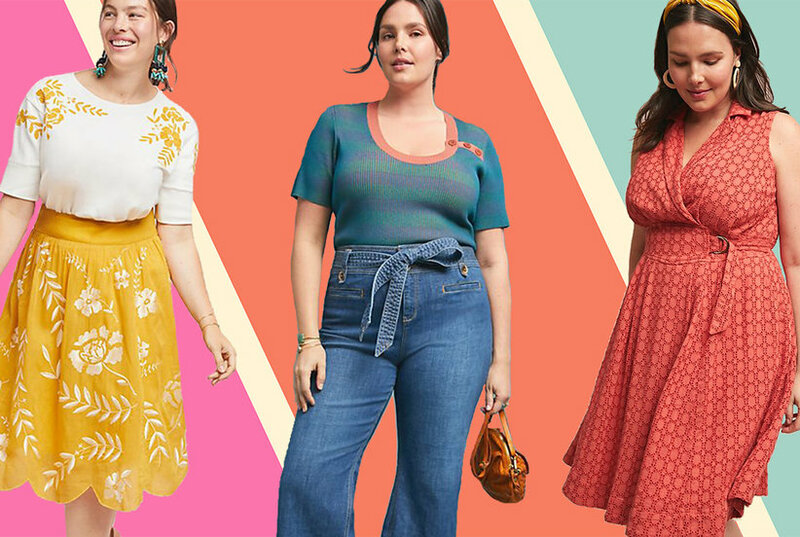 Infuse your daytime style with a bohemian vibe in this gorgeous off-the-shoulder top from INC.
Wrap up each look with the added warmth of this colorful, plus size completer piece from I.n.c. International Concepts. Go a little boho in this plus size peasant top from I.n.c. 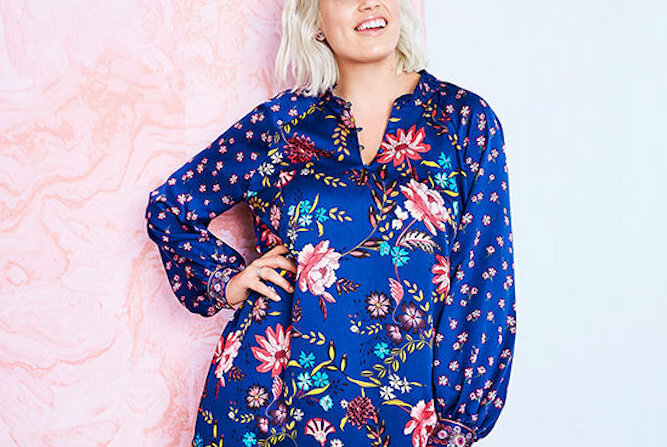 International Concepts, printed with a blooming floral print and a keyhole neckline on a softly shaped silhouette for added coverage.